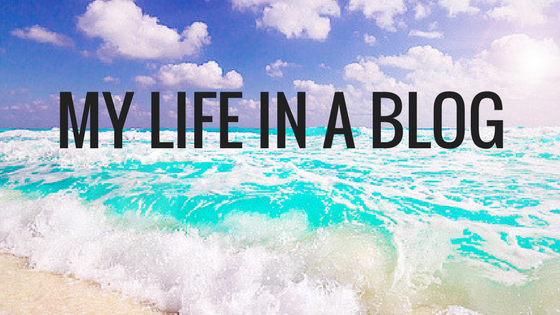 My Life in a Blog! Your lying in bed, procrastinating every little thing you have to do today and tomorrow because you don’t feel like doing it. Having no motivation, and no guilt or remorse about it either, you just continue to put it off until it’s too late to complete it all. Then you realize you’ve lost your source of an audience, an income, and you’ve lost your best state of mind because you stopped doing the one thing you love. No more procrastination or putting important things off until it’s too late to do them, it’s time to start kicking a** and completing it all NOW. So here I bring you, the most productive morning routine. For you to read and use to motivate you and pick you up off of the couch again and have a good productive morning EVERY morning. 6:00AM, make the cup of coffee just the right way because coffee = life. Head to the kitchen and grab breakfast. Normally, breakfast is fruit or something simple and easy to make because it’s hard to cook when you're super tired still. 6:30AM, eat and watch TV/YouTube. First George Lopez (or whatever your favorite show is), then watch some YouTube for motivation because George Lopez never gets old and is just probably one of the best Nick classics that ever aired. Then YouTube for work motivation, productive morning routines are a must for motivation. 7:00AM, make the bed and tidy up the house. It’s never good to work in a messy cluttered house honestly. It’ll clutter up your mind and thoughts and make it hard to work. 7:30AM, light a candle and get to work. Lighting a candle can put you in such a better mood. Can someone explain this as to why? Can’t even put it into words here. Then get to writing, filming, editing, scheduling, posting, emailing, etc. Work for about 3-6 hours depends on how much I have to do for the day. 10:30AM, workout. Working out is just going to make you feel so much more put together, confident, and happy all throughout so it’s worth doing, even this early in the day. 11:30AM-12PM, shower and get dressed. Errands almost always have to be ran almost every day it seems like. This is a good time for you to get dressed and ready to go run them and just get them completely out of the way. 12-3PM, run errands. Whether it be bills, groceries, etc. just get it all done around this time and normally grab some food while out unless you ate before leaving. 3PM, come home. Work a little more if needed, clean up if needed. 4-6PM, relax and binge TV shows or go out with friends. It’s relaxation time. 6PM, read a book, draw, work on journals etc. Get into a comfy/cozy mood and read a few chapters in favorite book or draw if it’s what calms you or work on your journal/bullet journal. Do what calms you most and makes you feel best. Even a good hot bubble bath will help with some candles. Just do something away from your phone and Tv. 7PM, get ready for bed and have time to lie on phone and chill for a while before sleeping. Catch up on social media, etc. 8PM, bedtime. Turn off the lights and hit the hay.